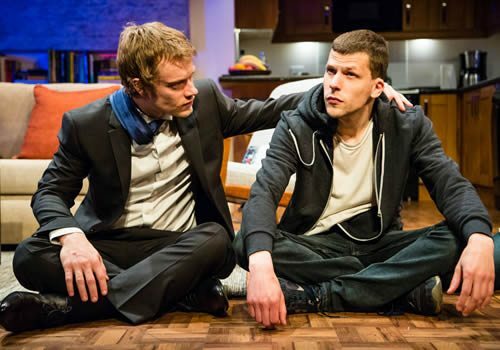 Hollywood actor Jesse Eisenberg writes and stars in his latest play The Spoils, which premiered Off-Broadway in 2015 to wide critical acclaim. A razor-sharp satirical glimpse into the life of a lost soul searching for meaning, The Spoils is an entirely awkward comedy that has impressed audiences at Trafalgar Studios since May 27th. The Spoils follows Ben, a bully who consciously teases those around him, including his earnest Nepalese roommate, Kalyan. Nobody likes Ben and Ben doesn’t even like himself. When he discovers that his school crush is marrying a banker, Ben sets out to ruin their relationship and win his crush back. 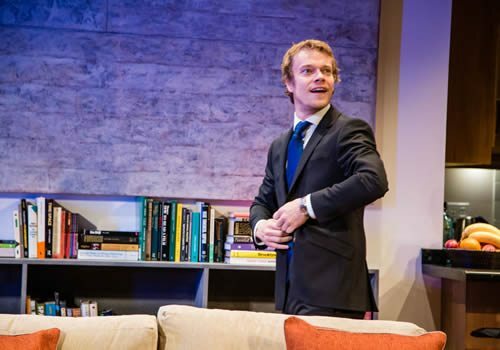 As Eisenberg’s third play, The Spoils truly cements his reputation as a talented, innovative playwright, suited to writing plays that speak to the self-analysing millennial generation. BAFTA, Golden Globe and Academy Award nominated Eisenberg stars as Ben, in what will be his West End debut. His previous plays, The Revisionist and Asuncion, have both premiered Off-Broadway, but Eisenberg is most well-known for his extensive film credits. Starring in films such as Batman vs Superman: Dawn of Justice, The Social Network, Now You See Me, Zombieland and Superbad, amongst many others. 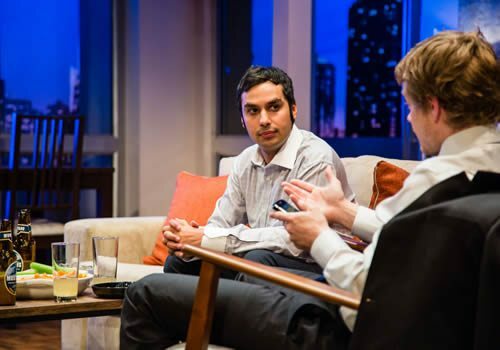 Eisenberg plays opposite Kunal Nayyar as Kalyan, who is best-known for his role as scientist Raj in the ever-successful The Big Bang Theory. Joining Eisenberg and Nayyar are Katie Brayben (Beautiful, My Mother Said I Never Should) and Alfie Allen (Game of Thrones), alongside Annapurna Sriram (South of Hell), who revises her role as Reshma. Directed by Scott Elliot, The Spoils features set design by Derek McLane, costume design by Susan Hilferty, lighting design by Peter Kaczorowski and sound design by Rob Milburn and Michael Bodeen. 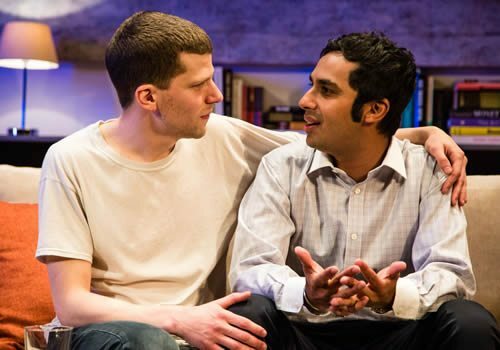 A cuttingly real exploration of disparate issues such as sexuality, politics and fluctuating prices, The Spoils promises to bring a dose of Eisenberg’s typical awkward charm mixed in with a pertinent play about topical issues in society. Opening at Trafalgar Studios May 27th, the comedy is set to run until August 13th 2016. The Spoils is not suitable for young children.